DULUTH, Georgia — Amid the growing chorus of church leaders alarmed by the rise of "nones" as more Americans abandon Christianity, a new book that has just been released showcases areas where churches have been successful at reaching and retaining young people. 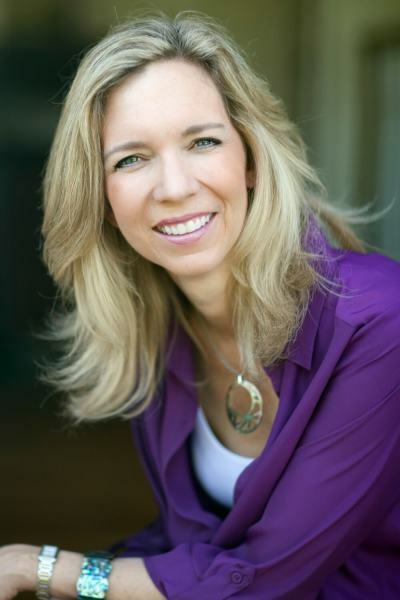 At the Catalyst conference in Atlanta on Wednesday, Fuller Youth Institute Executive Director Kara Powell sat down with The Christian Post to discuss Growing Young: 6 Essential Strategies to Help Young People Discover and Love Your Church, a book she co-authored with Jake Mulder and Brad Griffin. While some of the statistics are troubling, there is much more to the story. Powell, 46, who is also an assistant professor at Fuller Seminary, told CP that she and her colleagues "felt called to do this research because the best data [from Pew and other reputable sources] indicates no major denomination or Christian movement in the U.S. is growing, the number of adults who profess to be Christian is shrinking, so the Church overall is shrinking numerically." "Paired with that, the Church is also aging," she continued. "According to latest census data, 18-29 year olds are 17-20 percent of our population but only 10 percent are churchgoers." In light of such bleak realities, Powell and her colleagues wanted to survey the positive cases and provide solutions to ministries that are struggling to engage today's youth. Together, they studied over 250 congregations nationwide that are doing incredible work with youth and young adults. They located the churches by talking to 15-20 denominational leaders, seminaries and schools, and national leaders. The most common starting point are leaders who recognize the metaphorical keys of authority and power and are quick to hand them to young people. Young people desire to be led and to learn how to lead spiritually. If given the opportunity they will rise to the occasion. No shortage of negative talk about millennials exists these days. But successful congregations do not disparage young adults as lazy or entitled, Powell said. Instead, congregations that opt to journey with young people in their quest toward identity, belonging, and purpose will find them eager to explore a deeper faith. "In an era of so much cultural shame and fear," Powell said churches that resonate with the young "were ruthless in preaching the love and grace of Jesus and helping young people live radically, motivated by the grace of Christ." "When we asked young people what they love about their churches, the phrase that they used more than any was 'like family,'" Powell said. It is a myth, she argues, that you have to be a "hip," stylish church leader to reach young people. "Warm" is the new cool. On this very point, Powell, Mulder, and Griffin penned an op-ed for The Washington Post last month, which said: "suggesting that churches need to grow warmer, we don't mean adults should be nice to young people. Nice does not cut it. And warmth is more than superficial community." Certainly the young are not the only demographic that matters in church life, but churches that consciously think about how to plug them in fare better. Sometimes, naturally, this has implications for budgets and staff. No matter the event or function, the successful church bodies often ask themselves the question: "How does [activity x,y,z] relate to what God is doing in our young people?" Both globally and locally, churches that are deeply committed to the work of justice in the Kingdom of God and are willing to engage with provocative cultural issues are more effective with today's youth, Powell explained. They were not afraid to have conversations about hot-button issues — sexuality, racial divisions, etc. — they were also willing to ask the question: How do we love our neighbors even when we disagree? Even more interesting in their research was what they did not find was necessary to reach young people. Among the things churches do not need are large churches (though some did have them), modern facilities, hyper entertaining, and watered-down teaching. Nor did churches have to be a certain age or size. "Part of what we are hoping our research does is dismantle some of the myths that leaders and congregation members think, and in all candor, excuses we use to not reach young people," said Powell, who is genuinely optimistic about what is ahead. "The Church is my greatest hope for our country and young people are my greatest hope for churches. So I think if we want to see our country transformed it will best happen through churches. And if we want to see churches transformed that best happens through young people," Powell added. 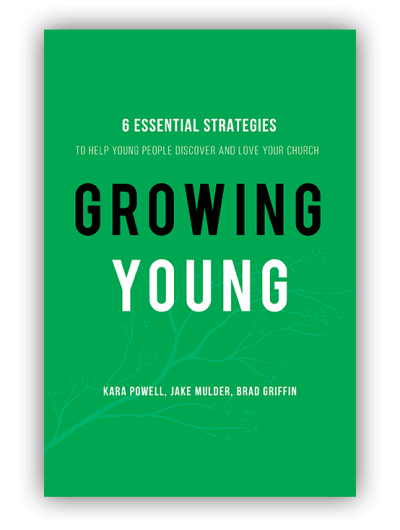 For more information about Kara Powell and the research from Fuller Youth Institute in Growing Young, check out Churches Growing Young. American Christianity May Be Collapsing. What Should We Do? Does Your Church Need Millennials to Survive?